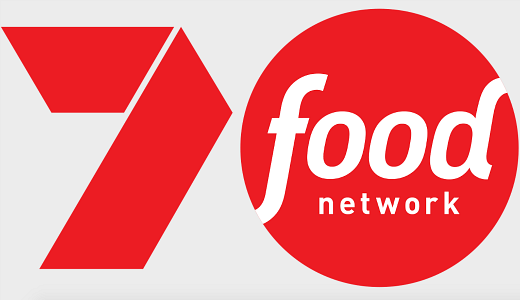 Another new foodie channel, 7food network, is set to launch on Channel 74 on December 1. The announcement with Discovery network follows SBS Food Network losing its deal with Discovery-owned Scripps Network. It will now be known simply as SBS Food. Viewers can expect first run seasons of Guy’s Grocery Games, Food Network Star, Chopped, Restaurant: Impossible, Diners, Drive-Ins And Dives, Cutthroat Kitchen and Iron Chef America. There will be new seasons of Best Baker In America, Spring Baking Championship and Kid’s Baking Championship, plus brand new episodes of Ridiculous Cakes. Gordon Ramsay offerings include Mystery Diners, Bizarre Foods With Andrew Zimmern, Cake Masters, Cake Wars, The Great Food Truck Race, Restaurant Stakeout and Giada At Home. 7food network will also replay Australian originals including My Kitchen Rules, Better Homes And Gardens, Zumbo’s Just Desserts, Fast Ed’s Fast Food, Anh Does Vietnam, My France With Manu, Around The World With Manu, Manu’s American Road Trip, My Ireland With Colin and Aussie Barbecue Heroes. Seven will announce original content plans at a later date. 7food network launches Saturday, December 1 on Channel 74. Would’ve preferred new content, not series’ that screened years ago. I live in Sydney. I tuned in the TV (1-11-2018) and noticed a new food channel 74 was automatically added to the TV. But there was no test signal. I also noticed that the 10 Network have a new logo for its bouguet of channels, 10 (the main channel whether std or HD), 10 Peach (formerly channel 11) and 10 Boss (the channel with Judge Judy and the occasional rerun of Hogan’s Heroes.). I may not be necessarily watching any food channel, However when I did have the chance to watch SBS’s Food Channel, I did find “Save My Bakery” hosted by Kerry Vincent and “Mystery Diners” very instructive on how to spruce up a rundown business and how to detect fraud, misappropriation of a business’s resources and poor customer service. Even programs on how confectionery was made were very instructive. David, is there any news on the 4th Ten station? It would be brave if one of the Free to Air channels had a Fox Classics style channel with some of the quality Aussie shows and some from overseas from the past. One hopes that 7Food will at least be MPEG4, although they might chicken out like they did with 7Flix. I wonder if SBS will have a change of heart and abandon food in favour of something different now? I hope not, I’m looking forward to a food channel that is not full of American Cooking and reality entertainment. And besides Prime won’t have this channel for another two years (going by 7flix) if not at all. In Tasmania 7Flix is not screened so I doubt that this waste of space will be screened. Next we will have 9Block with all reno shows on that channel. I am watching more of my DVD collections now, streaming with one service gives me the horrors having to reset passwords every time i log in, not worth the hassle. The only reason I even bothered to check out this post…it has so far garnered 23 comments…A food channel?….who would have thought…not me. In our city Channel 7 is the only network where the primary channel is not HD. They choose to give us 7mate in HD. I’ve given up on them. 7mate HD not 7HD This makes no sense , David do you know why ? It was due to AFL deal, I thought it had been resolved in Syd / Bris but maybe I have my wires crossed. Hi David why can’t I get 7 Food Network though Foxtel ? There is usually a Mexican standoff as to who should pay the associated satellite fees. Cable viewers usually get these first. do we really need another channel? isn’t there enough crap to choose from. it’s reno show or cooking show or dating show or the news…. TV is a waste of time. I love how all of these channels supposedly licenced for “datacasting” are now broadcasting conventional content. Is this channel counted in ratings? Apparently WIN83, the Sky channel (I refuse to call it “news” as every time I pass by it’s regurgitating yesterday’s talking heads). Not ‘news’. And why does WIN waste precious time promoting this channel on their main channel, in every break? And I mean every break! Win83 is a big disappointment. At weekends they give us 2 hours of sport at brekky time, when I would like to get some hard news. Useless. Just give me the shows that SBS Food got rid of. What an absolute waste of bandwidth. There is already a food channel on SBS. They should have focused on something like a music video channel. Something that is prevalent in many countries with digital reception. It’s utterly pointless having 2 food networks on free-to-air. Music video channels don’t show music nowadays anyway. More likely to be the Kardashians. The new channel is aiming for a 1 per cent share of the total television audience. Ch74 started life as an advertorial “datacasting” channel TV4ME in 2011 which later became ME and went bust in 2016. Presumably this is a re-launch for a different market. On a diet of Lean Cuisine I won’t be re-scanning my TV just yet. So will this channel contribute to Channel 7 ratings share aswell? If so Ten better hurry up and release its 4th channel. With bitrates so bad on their rivals SD channels if Ten are sticking with two multi channels they’d be better off converting them to HD and selling on picture quality rather than channel quantity. I honestly think they would have been better of rebranding 7Flix to 7Food Network instead to trying to cram this in with the little bandwidth they have left. Most of the shows are yonks old so not much of a gain really. SBS repeated them over n over. I suspect that won’t change. 7Flix has less movies on it now than ever. Mostly encores of programs that have aired on other channels. I agree. 7flix needs to be jam packed with only movies, one after another, all day long! Turn on 7flix now, you’ve got 4 back-to-back movies. The channel was never launched to be a sole movie channel, unsustainable for a commercial channel in this current environment, but was a key feature, just a public misconception. Yeah … hope we get Tiffany back !! Any idea on when It’s coming to Prime David? Not at launch, it’s a Prime question. It will be in 7 Queensland. Quite a surprise to have another commercial multi channel, I wonder how low the bit rate will be to squeeze this in. With a 65” TV, at times the multi channels are almost unwatchable due to the resolution. Couldn’t agree more. Just upgraded to 65″ myself and am about ready to remove the SD 576i channels from the guide entirely, it’s a hot mess. Even if there was something more substantial to watch than the same trash reality and lifestyle shows repeated ad infinitum, the picture quality is totally unacceptable. Seven seem to think they can still squeeze ‘just a little more’ out of their bandwidth allocation, but in fact, it’s just another reason for viewers like me to switch over to BluRay discs or streaming services, all in outstanding 4K 2160p. It won’t be long before advertisers start to steer clear of the multichannel hot mess due to those channels being “literally unwatchable” on new televisions. Interesting partnership, I really like some food shows but have never really got into these channels. So 7Food will be measured for ratings by the sounds of this article, not just a datacasting-like channel?